After writing about our wonderful apple tree from which we made 25 gallons of apple sauce this year, a past teacher let us know about a project through Colorado University. The Boulder Apple Tree Project were looking for apple trees around Boulder that may have dated back to the original apple farms of the late 1800’s. 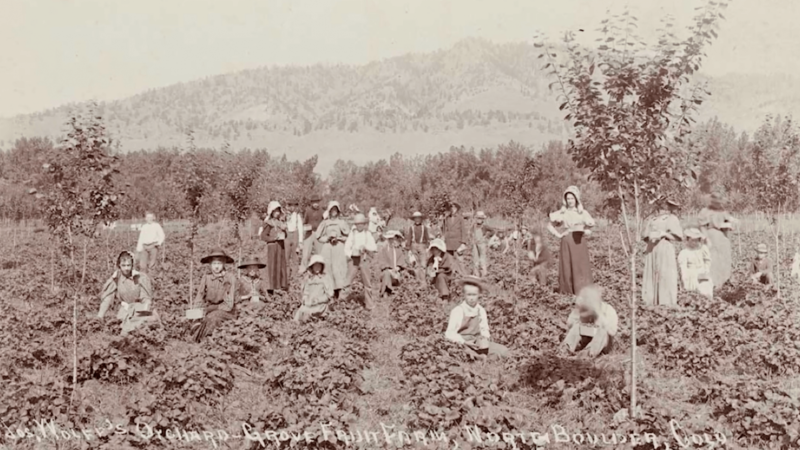 At the time, Boulder was home to many orchards, and because of the increased varieties that were commercially grown at the time, they were trying to find rare or uncommon varieties that might have been lost through time. 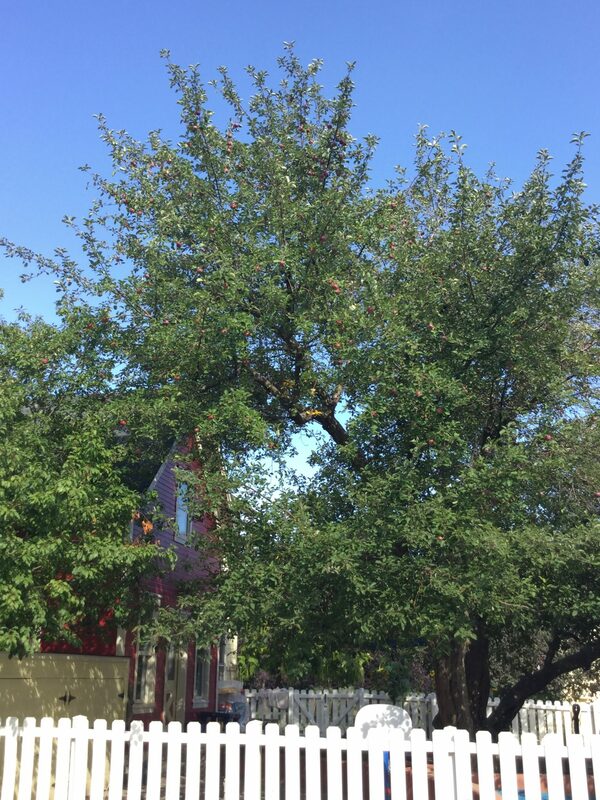 Several years ago we had an arborist tell us that our tree was approximately 120 years old, so we contacted the apple tree project to see if they were interested. 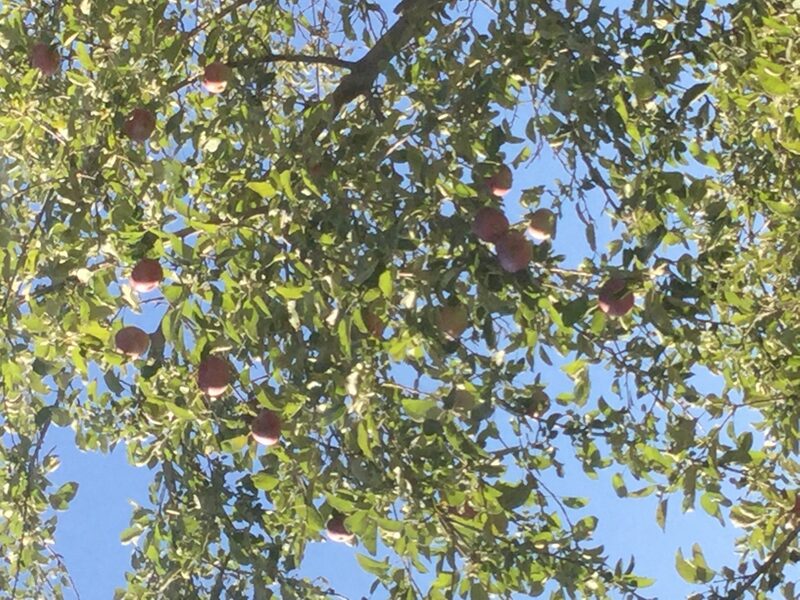 We were contacted by the University and asked if we still had fruit, and they sent over Dustin, a researcher, to find out about our apple tree. He came in with all the tools he would need, and a tag that is now our trees identification #600. He showed the children the measuring tape while we ate snack of apple sauce from our tree. He got to taste the apples fresh and remarked that this was the favorite fruit of the 25 trees that he had personally identified. The children were able to be involved in every part of the scientific sample collection. They found the best apples they could on the ground, as the ones left on the tree were out of reach to everyone. They needed three leaves and several apples for the collection of DNA to discover the variety of the apples. They measured around the base, the height of the boughs, guessed the height of the tree, and dissected the apples to see the worms or bugs that inhabited the apples. Once the information was collected, the medal identifying our tree was hammered in to the tree with the help of the children. We are looking forward to the analysis and finding out what breed of tree we have in our yard. The hope of this project is not just to document these species, but to also save the heritage through grafting and growing new trees from the old. We don’t know how long our tree will last, but Dustin said it was a marvelous looking example, so we hope the child’s energy will keep it growing. Read more about the project here.